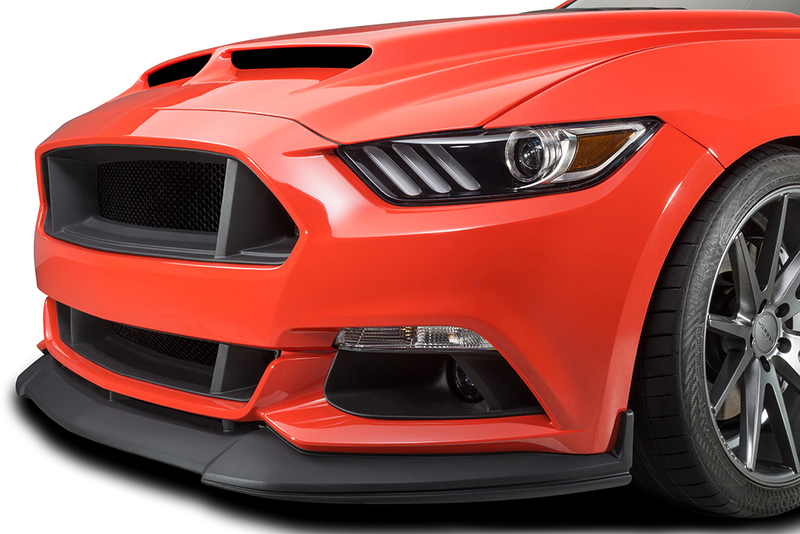 Ford Performance by Borla 2-1/2" Sport Quad Tip Axle-Back Exhaust System with a GT350 Rear Valance for 2015-2017 Premium GT Mustangs. 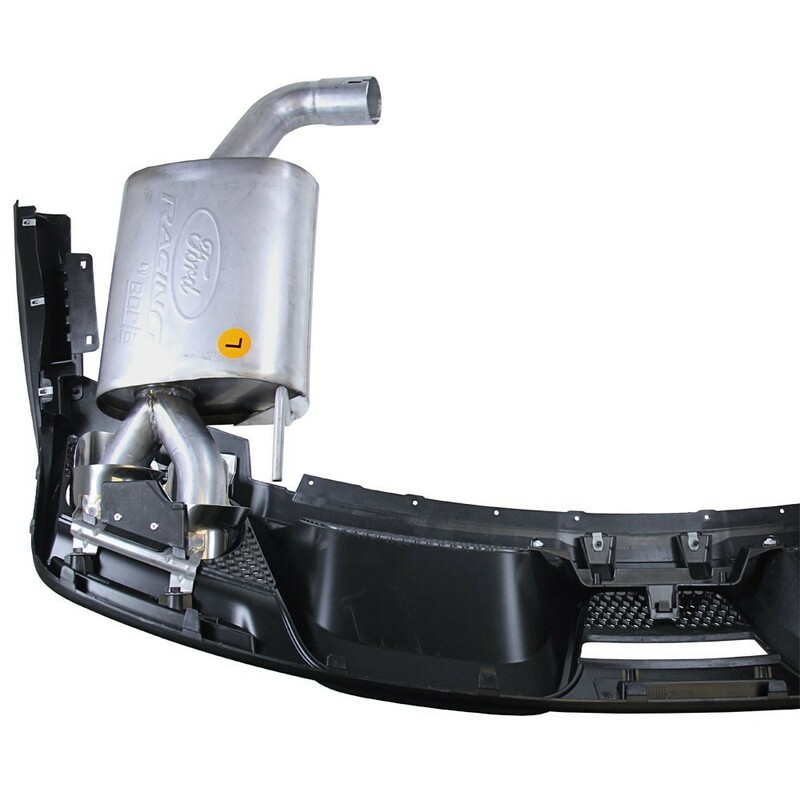 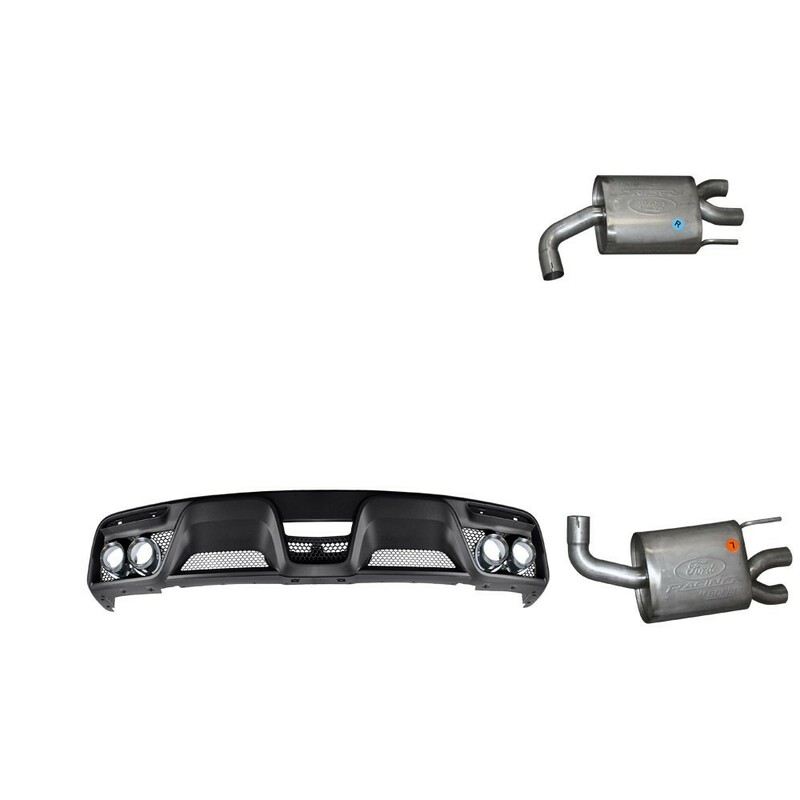 Improve the exhaust note on your 2015-2017 Ford Mustang GT with this M-5230-M8SBV Ford Performance by Borla 2-1/2" Sport Quad Tip Axle-Back Exhaust System with a GT350 Rear Valance for 2015-2017 Premium GT Mustangs. 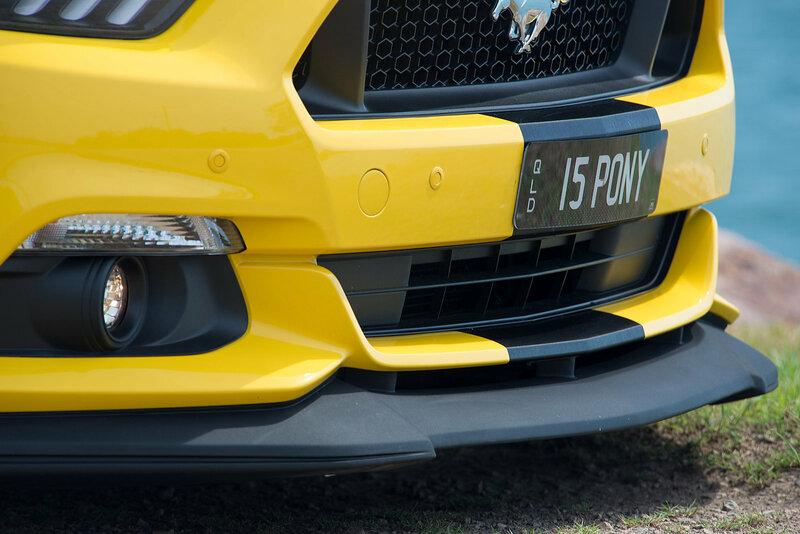 You won’t be disappointed whenever you get into your Mustang and start it up! 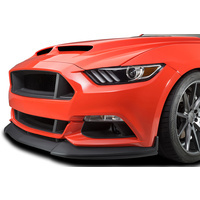 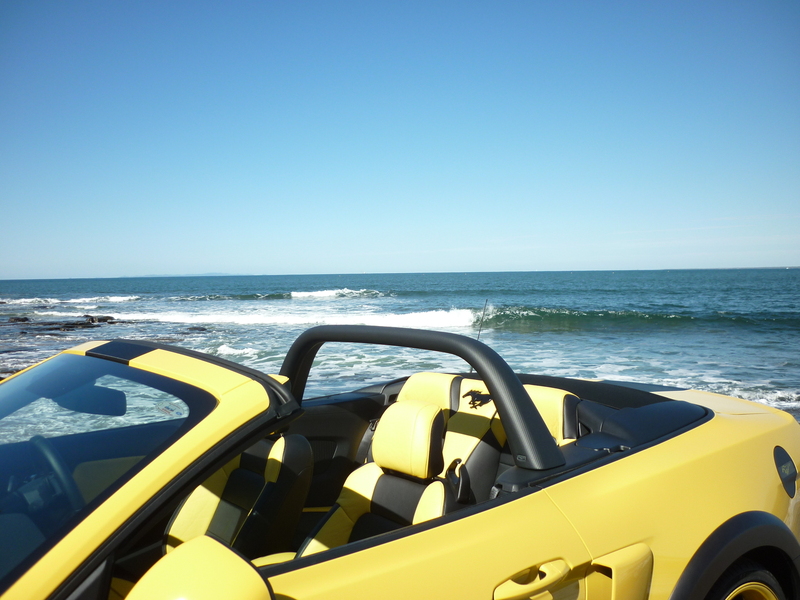 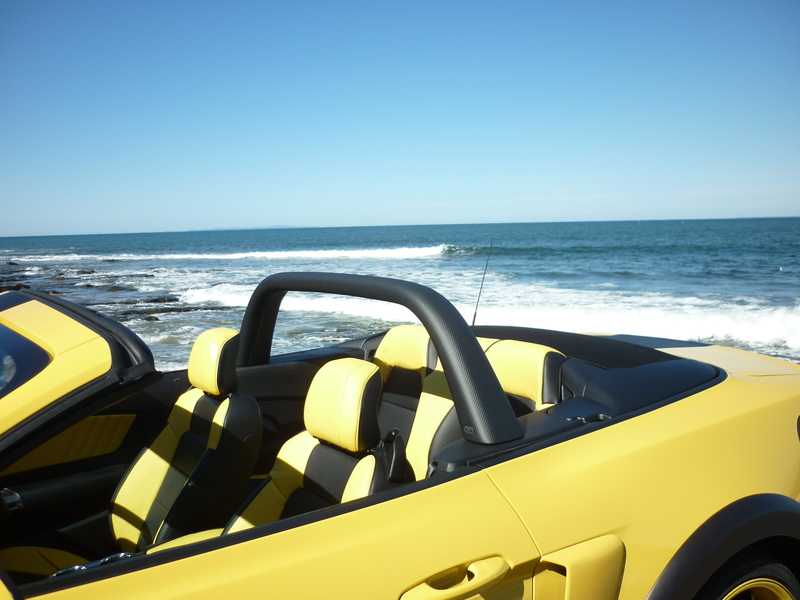 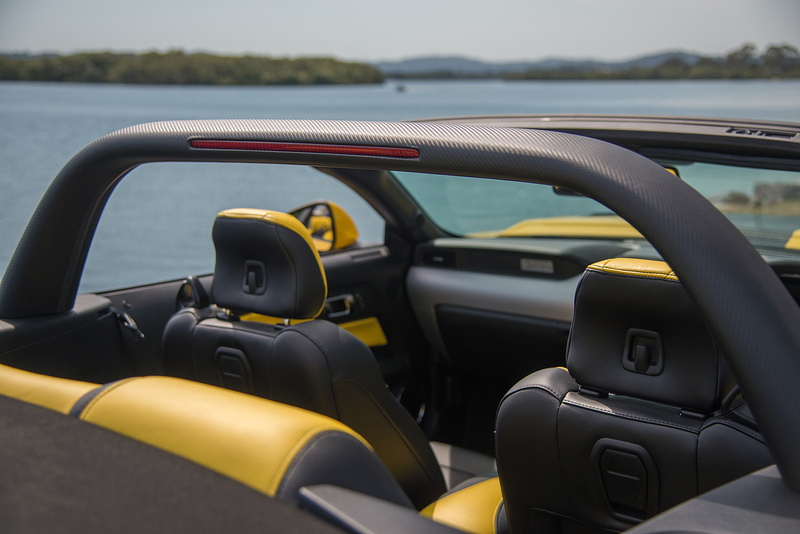 *Fits BOTH Fastbacks and Convertibles. 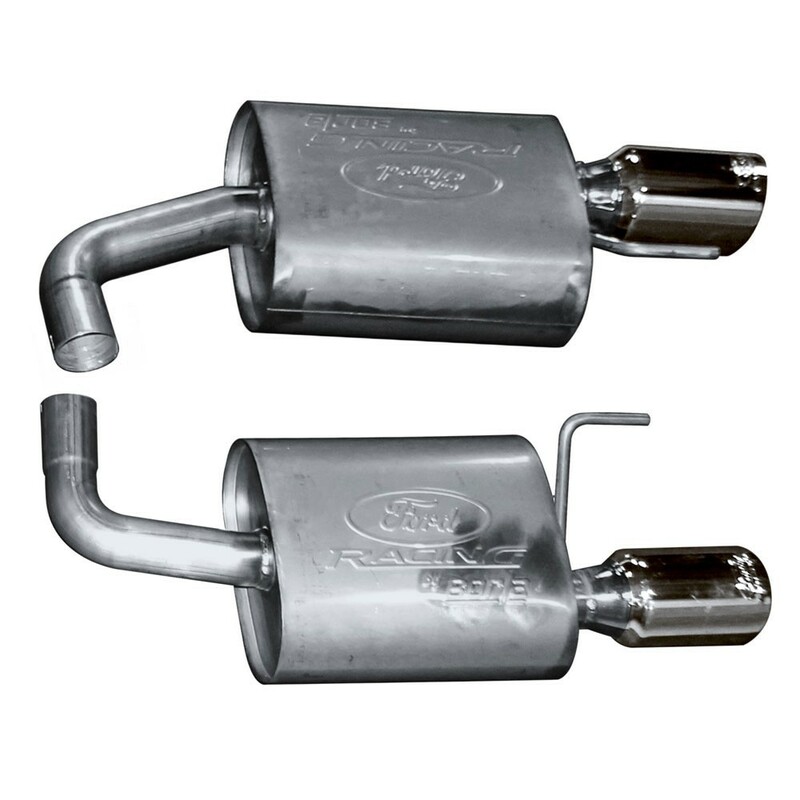 *Installation requires cutting of the factory exhaust piping. 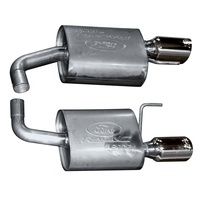 Once the modifications have been made to the factory exhaust system, installation is a simple bolt-in procedure. 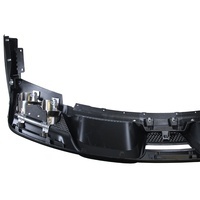 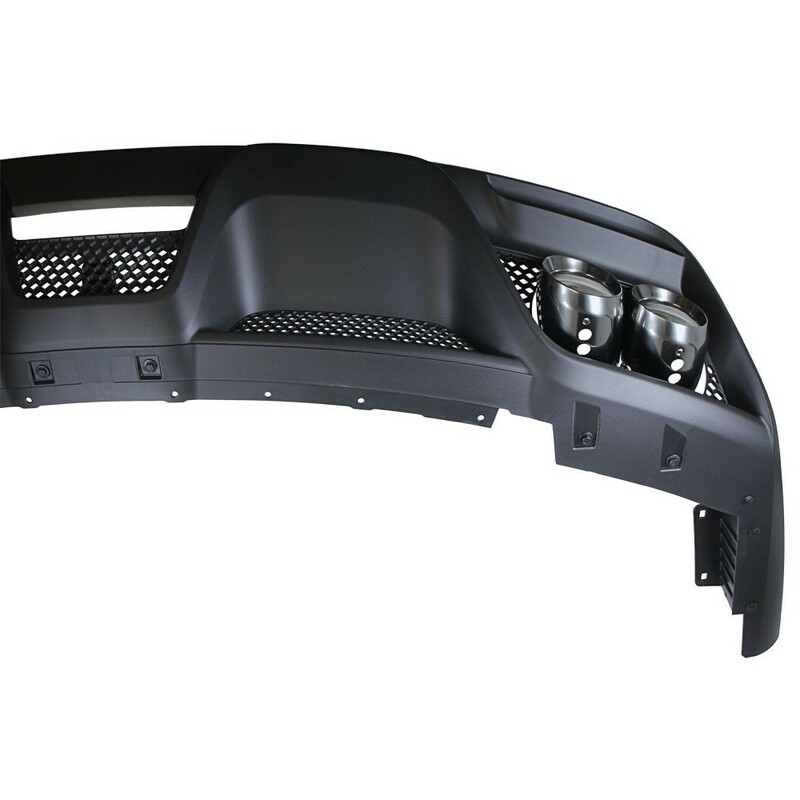 *Rear Valance installation will require removal and trimming of the rear bumper. 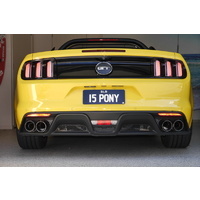 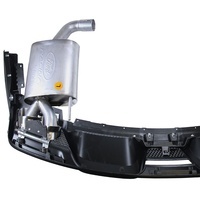 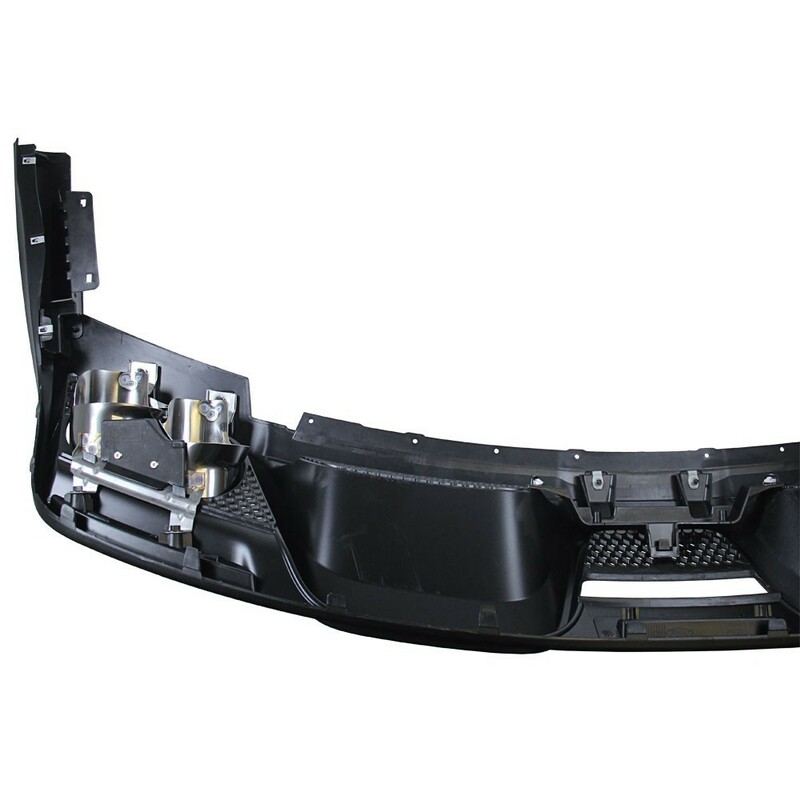 *GT350 valance requires premium rear bumper. *Compatible with cars that are equipped with the rear park assist sensors and cars without the rear park assist sensors. 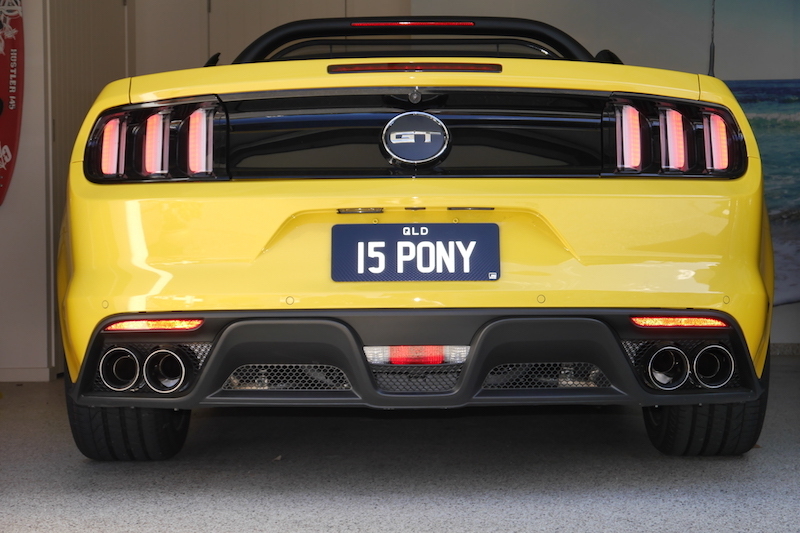 Please Note: The actual exhaust tips are built into this valance. 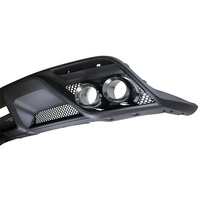 You will reuse your rear bumper lower marker lights and reverse light. 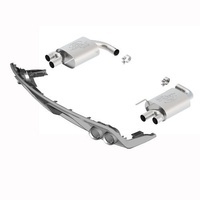 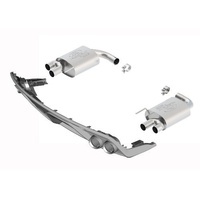 This axle-back exhaust system is unmatched in fitment, quality, sound and performance! 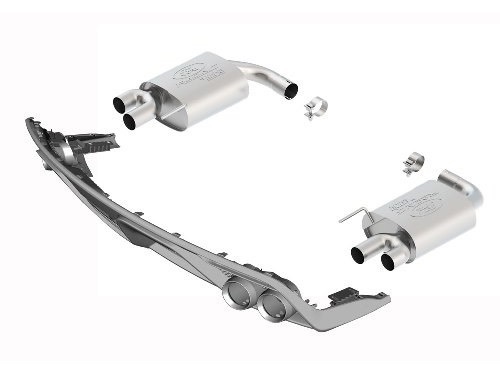 With so many great features like GT350 Quad Exhaust Tips, a rear lower GT350 valance, 2.5” stainless steel mandrel bent tubing, not to mention the sound and performance gains that will be experienced, this system is a must have purchase for any 2015-2017 Mustang owner.